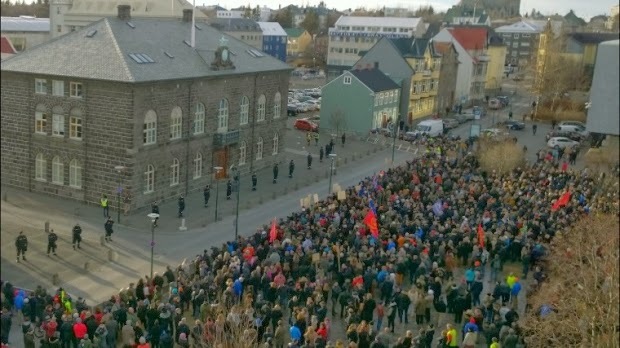 In Iceland, thousands of people have taken to the streets against the government’s move to end its bid to join the European Union without holding a referendum. 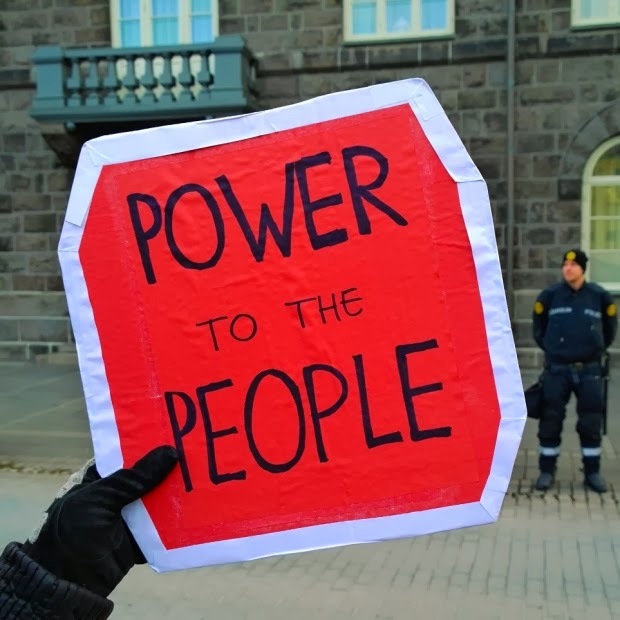 Despite an election campaign promise to put the question to the people, the two leading coalition partners decided not to take people’s views into account, leading some to ask for a rethink. 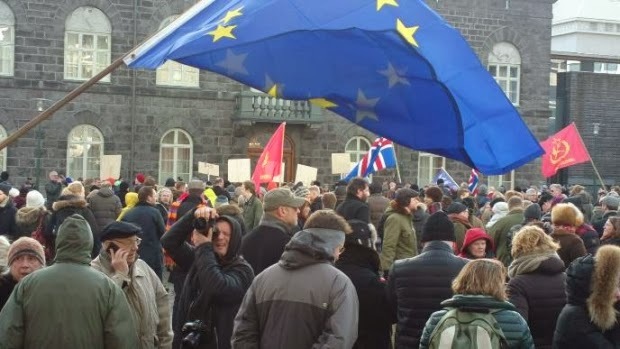 Around 4,000 people turned up to Austurvöllur square in front of parliament yesterday to protest the decision by the ruling Progressive and Independence Parties to put forward a resolution this week to withdraw from European Union talks. “Because I want the accession talks to continue so we can vote on a finalised membership agreement. I think we should try to get as good an agreement as possible for the nation. And I believe we can reach such an agreement even though we are not represented by the most ideal people”. A parliamentary debate on the contentious issue, originally proposed by the previous government, was postponed on Monday, but lawmakers will probably debate the bill on Tuesday February 25. EU talks were put on hold indefinitely after the current government took power last year. The parliamentary debate on the resolution to withdraw from talks, scheduled for today, was moved to tomorrow, ruv.is reports.